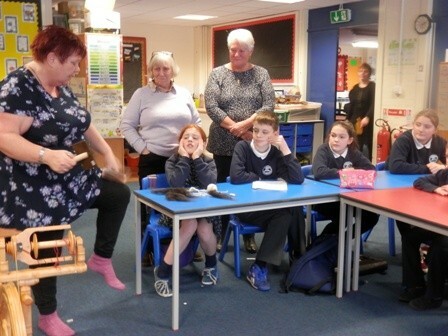 Tha tòrr spòrs air a bhith againn ann an Gàidhlig aig Bun-sgoil Bhogha Mòr. Diciadain 29 An t-Samhain, thàinig Alasdair Satchell dhan sgoil agus ionnsaich Clas 1-7 Gàidhlig mu eachdraidh Uilleam Ualas agus Raibeart Brus. Ann an dà uair a shìde, chuala sinn mu bàs Rìgh Alastair III, Eideard Longshanks, Toom Tabard, Uilleam Ualas agus Raibeart Brus aig Blàr Allt a’ Bhonnaich. Ach cha robh sinn dìreach ag èisteachd, bha sinn a’ glaodhaich sluagh-gairm agus a’cruthachadh dràma beag no dhà. Chòrd e rinn gu mòr agus dh’ionnsaich sinn tòrr. 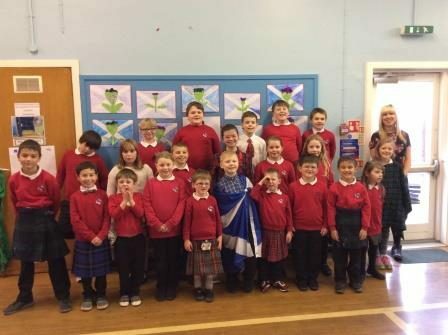 Pupils at Strone and Kilmodan Primary Schools have been enjoying a week long curriculum programme to celebrate Scottish heritage. 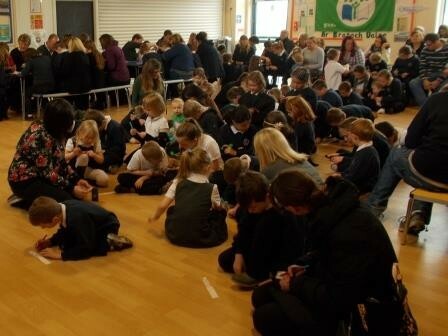 On Monday 28th November Kilmodan pupils joined Strone pupils for the day. 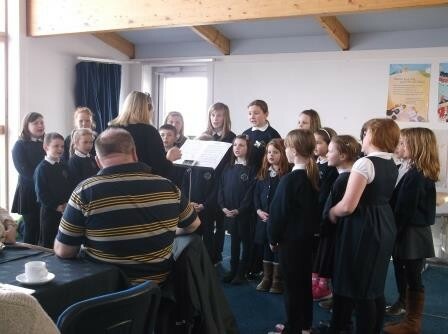 In the morning the children participated in a number of activities learning traditional Scottish songs, poetry and art. There are spaces available on this year’s GLPS course. The training programme is held at Stirling Court Hotel and is centrally funded. 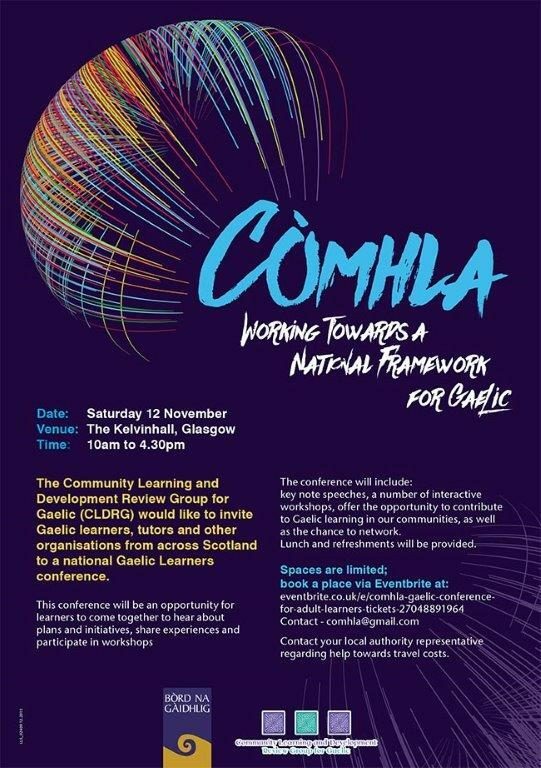 There is a tab at the top of the main page on SALi HERE where you can access Gaelic Education Policy Documents: please click on the links to view or download. 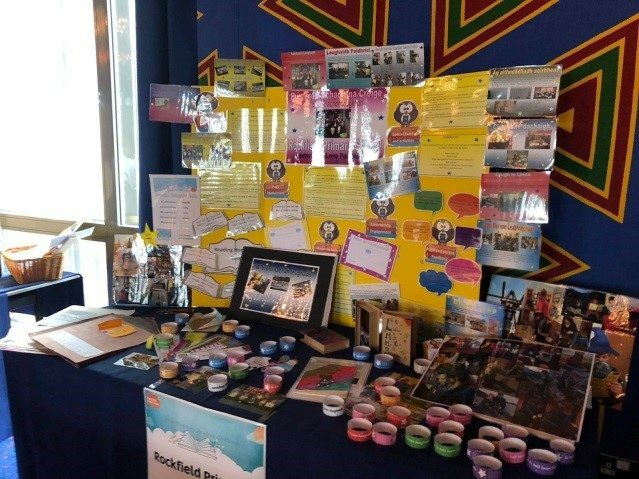 Take a look at the recent edition of the Argyll & Bute 1+2 Languages Newsletter. This latest edition is full of useful information for practitioners. You can learn about all the resources for teaching languages which are available within the authority. You can also find out who can provide training and support for teaching languages. There is an interesting article in the Spring/Summer 2016 edition of The Nature of Scotland, produced by Scottish Natural Heritage (SNH), about how people of different parts of Argyll were given Gaelic animal nicknames. The article is in English and Gaelic. 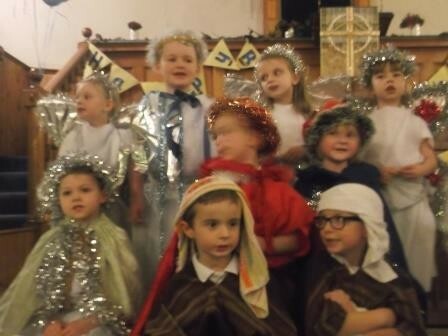 The pupils in the ELCC and Primary 1 have been working very hard over the last couple of weeks and put on a fantastic performance of ‘A Little Nativity’ to a massive audience last week! All 110 children had their chance to shine on the stage and the audience were treated to fantastic singing, acting and percussion playing. 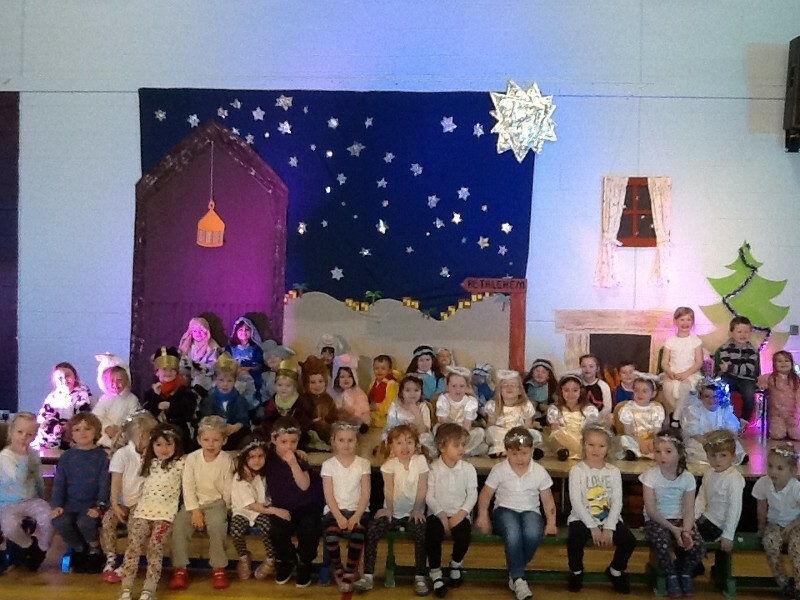 The boys and girls or Sgoil Araich and P1 Gaelic joined together to sing a beautiful Gaelic lullaby. Tea and Shortbread were served afterwards and everyone left feeling very festive! Bha sgoilearean AS2/AS3 agus AS1 a’ gabhail pairt anns an co-fharpais ‘FilmG’ an seachdainn seo. Rinn iad suas sgeul aca fhèin agus chaidh iad a-mach anns a’ choimhearsneachd airson fiolmadh a dhèanamh. Tha iad uile a’ coimhead air adhart ri gearradh an ath-sheachdainn le Cailean agus Caxy, oidean FilmG. Air 16mh den t-Samhain, bidh ar sgoilearan as sinne a’ fiolmadh an sgeul aca fhèin. Cùm d’ shuil a-mach airson fiosrachadh mu bhotadh. 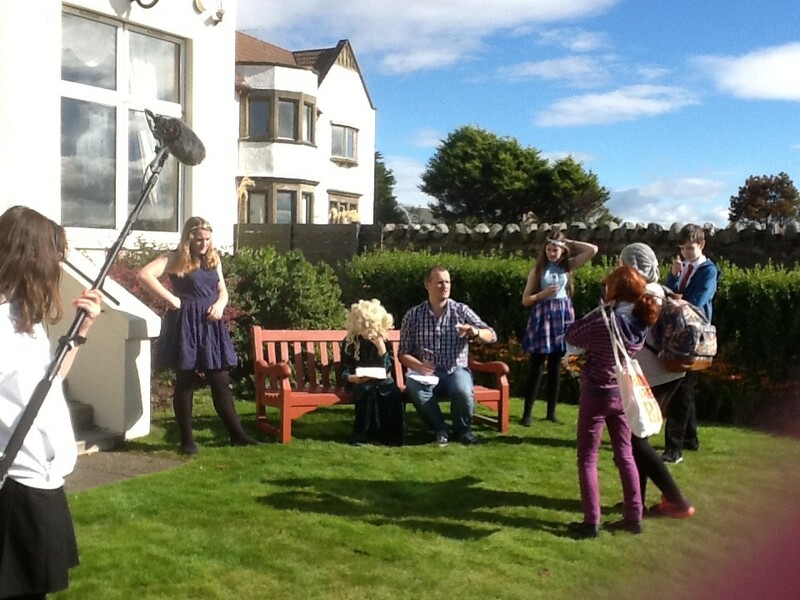 Tha ar fiolmachadh bho an-uiridh agus 2013 air an làrach aig FilmG. 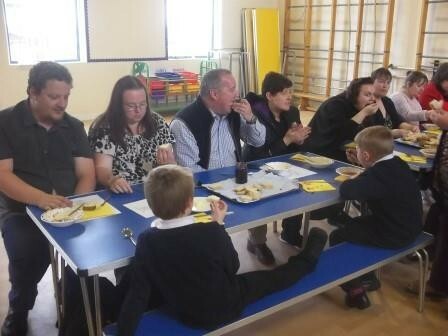 Chuir clas 6/7 o Bhunsgoil Thaigh a’Chladaich crioch air an topaic aca mun eachdraidh ionadail le taisbeanach san oifis Coiltearachd Gleann a’Bhrandaidh o chionn ghoirid. 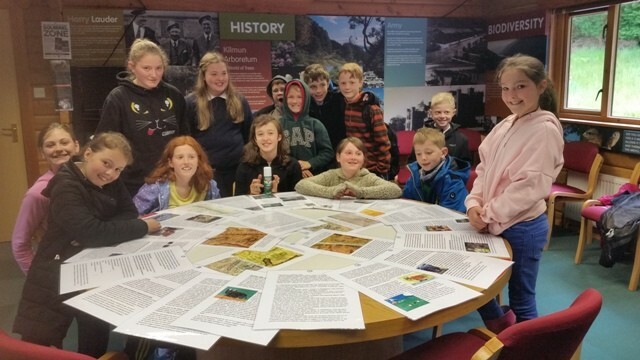 Sandbank Primary’s GM6/7 ended their topic on local history by setting up an exhibition in the Glenbranter Visitor Centre and Forestry Offices. 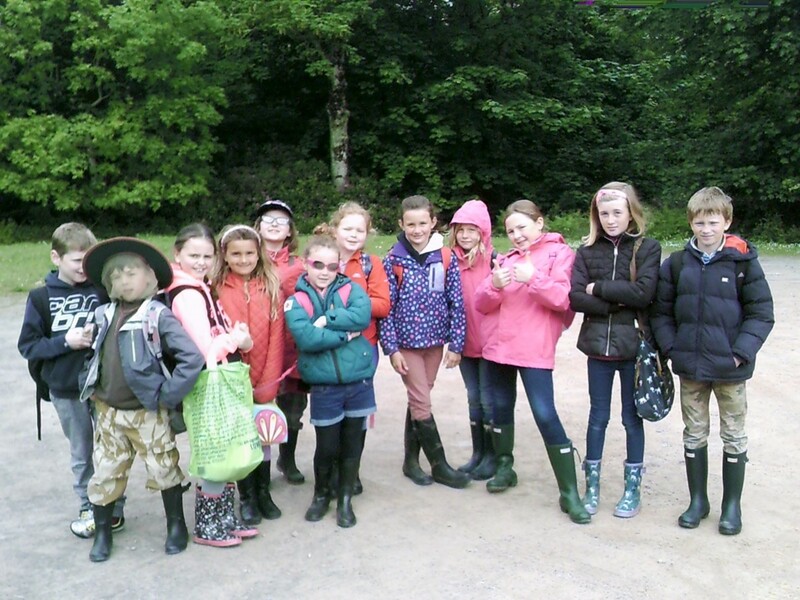 Rinn clas Ghaidhlig 6/7 ealain le cloimhe. B’fheudar dhuinn cìreadh, snìomh agus breabadaireachd a dh’ionnsachadh. Chuir sinn dathan nadarrach air an cloimhe cuideachd. 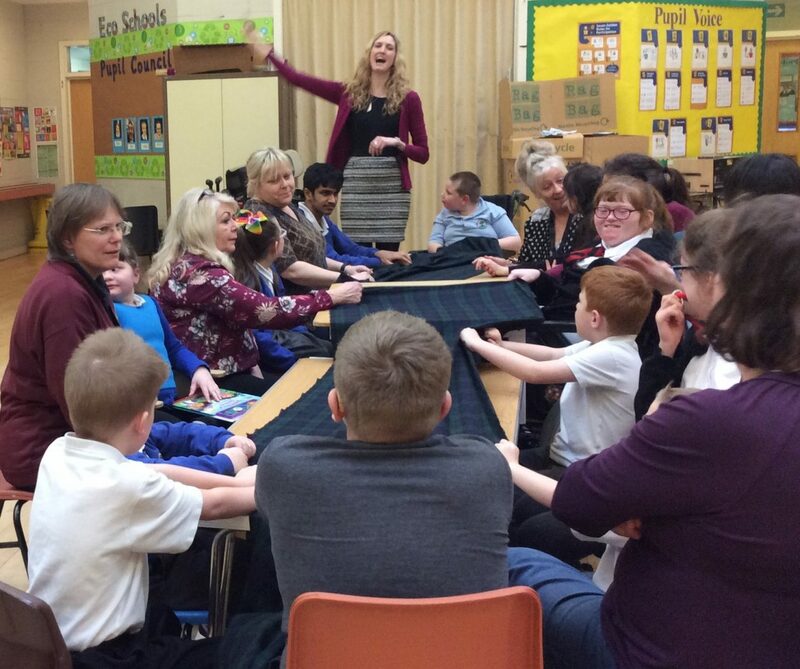 As part of our local history study and Crofting Connections programme, Sandbank GMU 6/7 worked on their handcraft skills to complete a piece of textile art together. We took the inspiration of a croft as the basis for a wall hanging, seeing as we had researched an abandoned farm settlement near Loch Eck.